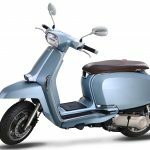 Almost 70 years after the creation of its first model, the Lambretta scooter has returned in the form of the 2018 Lambretta V-Special. 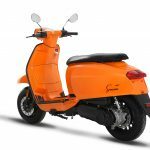 Shown in public for the first time at EICMA on November 7, 2017, the scooter company, which is known for its cult following despite only being in production for 24 years, has teamed up with Austrian design studio KISKA (known to MO readers for the design of KTM and Husqvarna model lines) to produce a thoroughly modern Lambretta in three variations: V50 Special, V125 Special and V200 Special. Tasty Italian style with an Austrian influence thanks to KISKA. 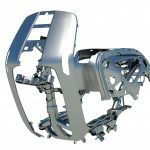 The V-Special features steel construction of its chassis with other forged aluminum parts. 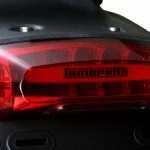 The side panels are replaceable and can even be had in carbon-fiber, if you so desire. 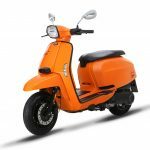 Of course, all engine configurations are four-stroke, Euro 4 certified units. 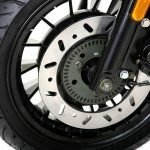 Stopping is handled by front and rear discs. 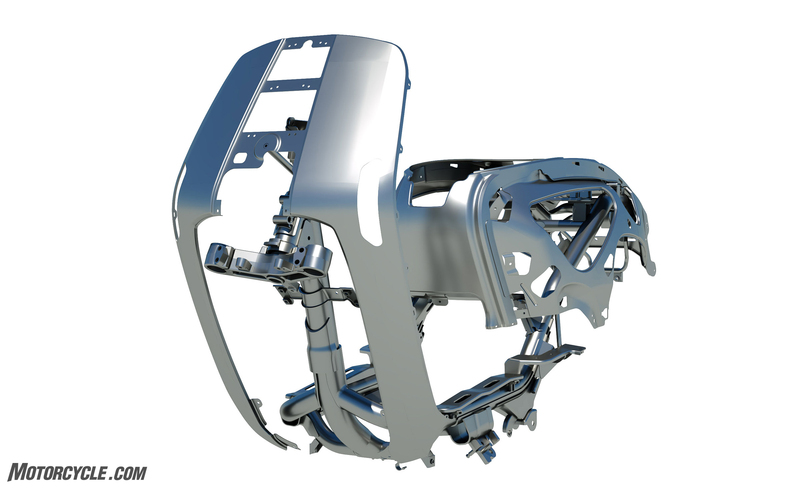 The V-Special’s frame is more than just a backbone surrounded by plastic. 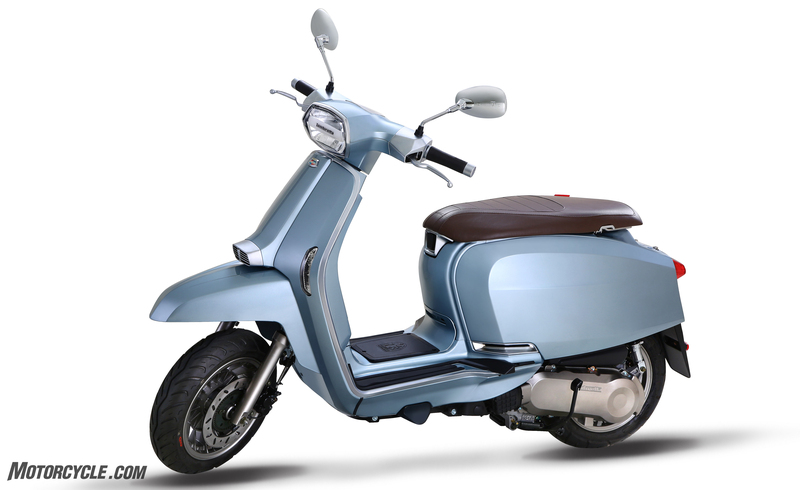 In addition to the solid construction and modern styling, the V-Special receives a healthy dose of technology, too. 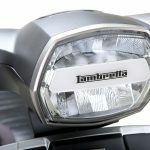 All lighting is LED-based. 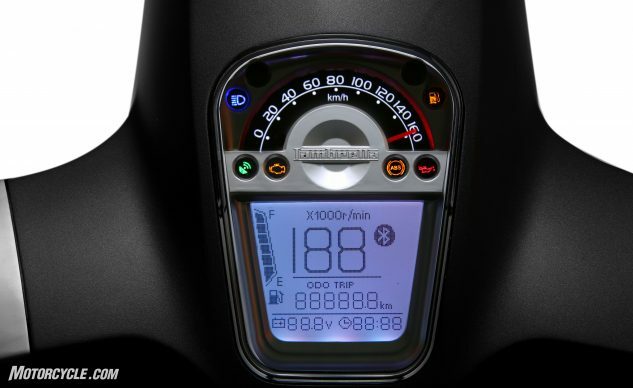 Though the V-Special has an analog speedometer that is coupled to a digital display that delivers all the other necessary information to the rider. A smartphone app with Bluetooth connectivity is in the works. 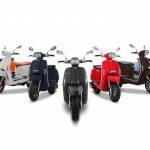 Lambretta says that the V-Special will go into production at the end of 2017 with production models hitting Europe in March 2018. 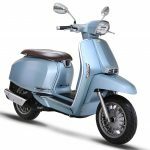 The company has plans for distributing the Lambrettas in 50 countries around the world, and we expect the U.S. to be one of them. 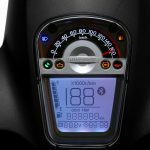 European pricing has already been set at EUR 2,799.00 ($3,246.00) for the V50 Special. 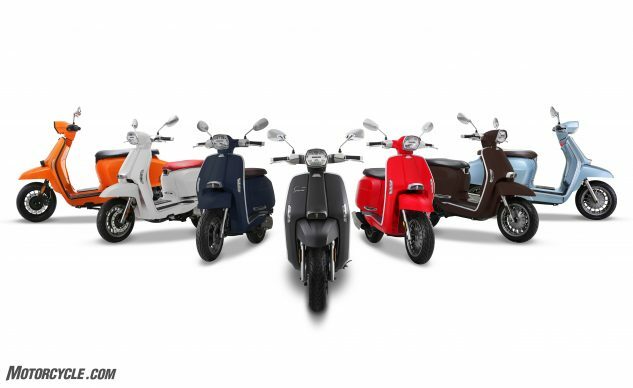 The V125 checks in at EUR 3,399.00 ($3,942.00) and the V200 Special tops out at EUR 3,999.00 ($4,638.00). 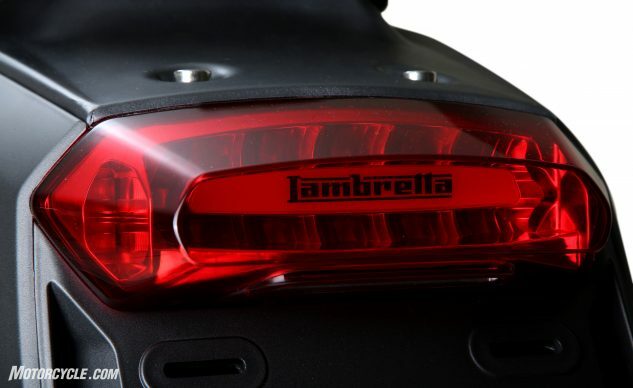 The Lambretta V-Special features front and rear LED lighting. 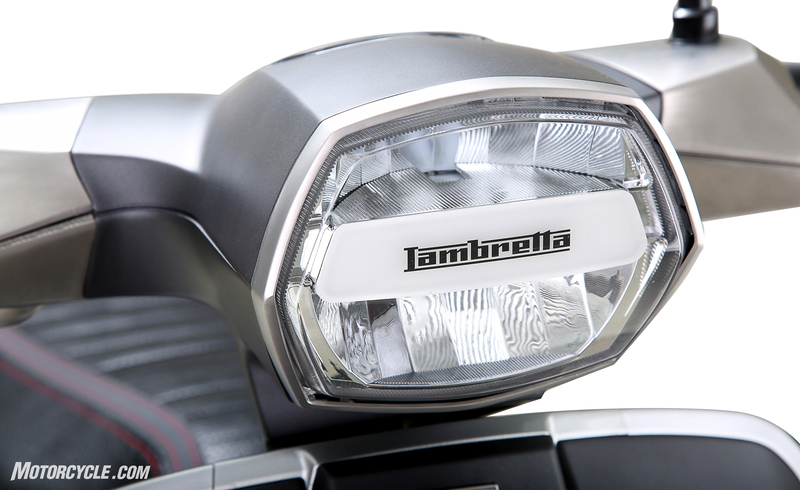 It’s easy to see the KISKA influence in the V-Special’s headlight.